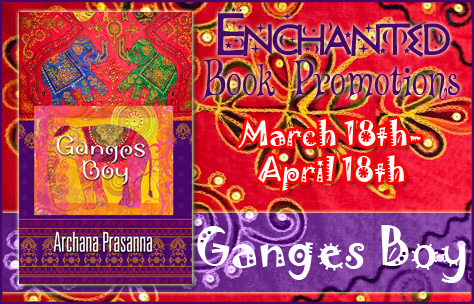 We’re celebrating the starter day party of coming of age / drama novel Ganges Boy today. Come join in the fun! Archana Prasanna is a Washington, DC native, but has experienced living in England and India. Growing up around the world has been a source of inspiration for her writing. Archana has an undergraduate degree in Political Science from Virginia Tech and a J.D. from Syracuse University. She began writing news articles that appeared in The Washington Post, pr.com, and The Collegiate Times. Ganges Boy is her first novel.